Supporting people with mental illness and substance use issues. Behavioral health services are a fundamental component of much of the work we do at Volunteers of America-Greater New York. People living with persistent mental illness are at-risk for homelessness, frequent hospitalization, serious physical ailments, and abuse. They need individually-tailored case management to manage their mental illness and live successfully within a community. Our staff of mental health professionals, led by Dr. Elisa English, Ph.D., LCSWR, delivers trauma informed care in a variety of settings, supporting each individual’s wellness and recovery goals. Outside of our behavioral health-specific programs, we also provide similar services within many of our other programs. Behavioral health and substance use issues are often interrelated with addiction, domestic violence, and other challenges we address. 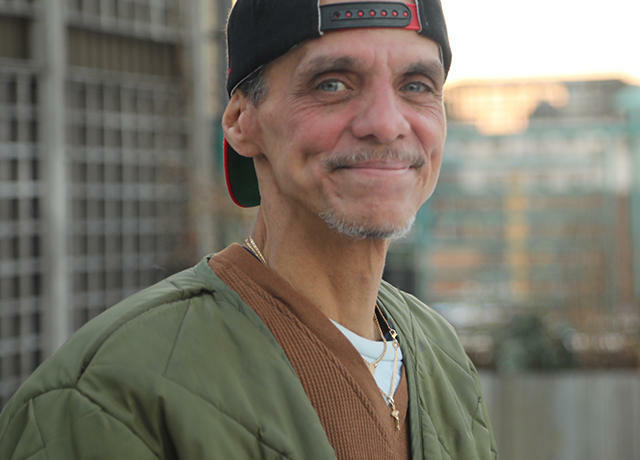 The Wales Avenue Residence in the Bronx has a three-year operating license from the New York State Office of Mental Health and programs in New Jersey meet the standards of the Commission of Accreditation of Rehabilitative Facilities. VOA-GNY is also a member of The Coalition for Behavioral Health and The Supportive Housing Network of New York. For more details, please visit the links below. "Behavioral health is more than a set of evidence-based theories and practices woven together to cure people. It requires the golden thread of staff to use all of themselves in passionate ways to help people when they are unwilling or unable to help themselves."